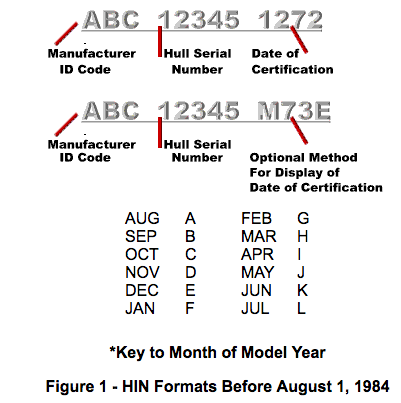 You can learn a great deal from a boats Hull Identification Number or HIN, in fact if your looking at a boat to buy you want to have this number. It confirms what year and model it is. 000110 - This is the hull number for the production line of that boat. Mine is 110, making it the 110th built. Although some builders start with 100. M - Not exactly sure, think it stands for "Manufactured"